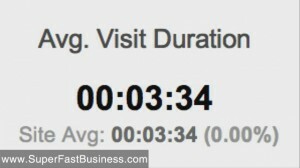 Well, looks like SEOmoz have been reading my blog because now they’re doing YouTube videos under 2 mins. Sounds like a good formula. Now here’s my average time on this website in case you’re interested and why I think videos are really good for you to put on your website especially to improve engagement and to provide valuable content. I’m sure you enjoyed these videos and so do many other people. It is bringing people back to the site and they’re staying for three and a half minutes so I think it’s a great idea and use YouTube because it’s kind of Google’s favourite video website and it’s good to embed on your website as well. Put them everywhere that you possibly can and if it’s really good, other people might embed them on their site which is something I’ve noticed with my own videos; bringing my channel up to around the 10,000 views mark since we changed strategy just a few weeks ago. When you login to Google Analytics now you’ll see that they’ve got some more social metrics, they’re showing you where people are coming from. Facebook, Twitter, Google+ and so on, now I think this is important. It shows you that they’re actually measuring and monitoring this and of course social signals are important. But you know what else is important? Link juice, links and anchor text, they’re still important. A lot of this social stuff’s a bit of a smokescreen because they don’t want you to be able to manipulate the search results. Of course! Don’t fall hook line and sinker for it. For the last few years they’ve been saying content, content, content, people will link to it if it’s great. Well yes and maybe not so much. Great content is good. That’s the immediate starting point but you still need links, you still need promotion. There’s certainly a need for good SEO practice right now. Bad advice can get your site completely penalized. So let’s just go into Webmaster Tools and talk about how this works now. On the Google Webmaster Blog there was an update further clarifying what we spoke about last week with Matt Cutts’s discussion about where the links are really bad or just a little bit bad. The really severe ones can take out a whole site and you’ll get a yellow warning; an exclamation mark in yellow. But there are less severe ones as well. If Google thinks that some of the links you’re getting are not that good they can pay attention to just those links and discount them. 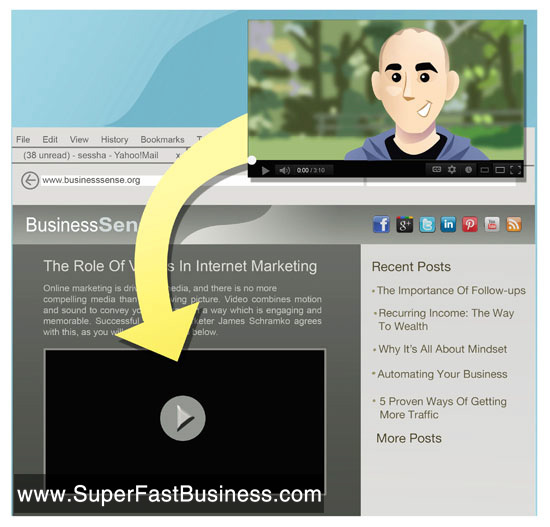 There are a couple of examples they mentioned on this Webmaster Tools update. One of them really caught my eye because it was talking about reputation management and evidently a reputation firm had gone out and got links to point them at someone else’s website and Google were able to filter them out. That’s kind of a negative SEO thing. It means that we’re getting that little bit closer to a disavow situation which means that you can nominate which links that you don’t want to be counted, you can’t do that right now. What Google would like you to do according to the Webmaster Tools the way that I interpret it is they say export your list of links that they give you with a particular focus on the most recent ones, (hint), and see if any of those or see if anyone in your company may have gone and got some spammy links or put out link bait widgets to get links for you and they want you to clean them up and then nominate them with a resubmission request. Not all warnings are bad warnings, they say there are about 10 per day going out and it may not be for your whole site it might just be for some links. The big one that we see coming up is the site wide footer link thing. You know if you’ve got a lot of sites linking back your site with a full follow link at the footer for every single page of that site and most people were doing this a few years ago. It’s very standard practice, in fact if you have more than a few sites you’ve probably done it yourself, go back to those sites and remove those links. If you have an affiliate program with SEO links with all the same link text then you might want to make them no follow if you can in your affiliate software. You may want to revise the way that you’re letting affiliates link to you. You may want to have non-anchor text links; you may want a non-follow link. I hope you’ve enjoyed this update; I’ll catch up with you next week.